At St. Mary’s Malankara Orthodox Syrian Church, we believe the future of our children lies in a deep personal relationship with God and to enable them to be conformed to the image of Jesus Christ. 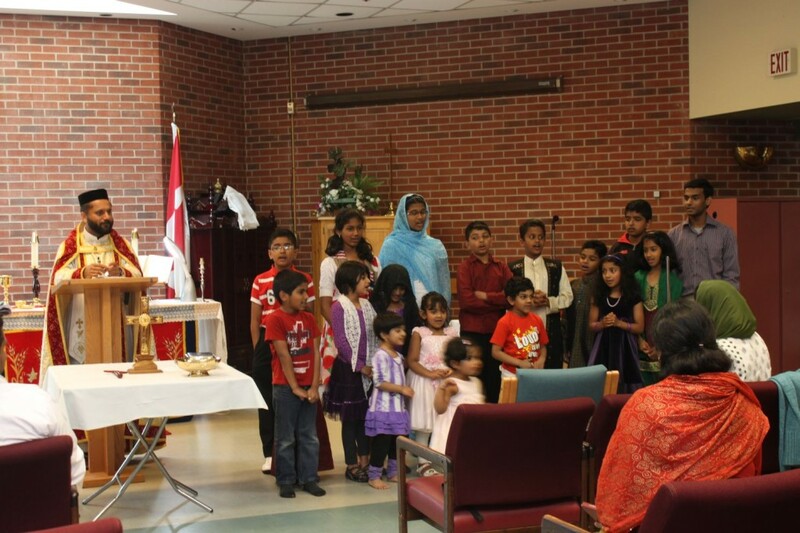 We make a conscious effort every Sunday to encourage our kids to discover and apply the Holy Scripture in their daily lives; instruct them in the faith and tenets of the Malankara Orthodox Syrian Church; draw inspiration from the lives of the Saints and educate them about the history of our Church. We seek to develop in our children the need for attending Church and Sunday School regularly, study the Scriptures, have active involvement in the Holy Qurbana and to enable them to understand and participate in the sacraments of our Church. We have a dedicated team of Sunday School leaders and volunteers who have a genuine interest in each child’s spiritual walk with Jesus Christ and in their overall well being. While adhering to the curriculum prescribed by The Sunday School Association of the Northeast American Diocese, our teachers employ various interactive methods to make each lesson contemporary and also encourage our children to explore all that they learn and to try and apply them in their daily lives. Active participation in the class room and general sessions are encouraged through custom designed reward programs which is unique to our Sunday School. We invite you to discover our approach and to partner with us to train and groom ‘Christ Centred Kids’ and also cultivate in them a Malankara Orthodox Syrian conscience.